Part of old foundry, Oswego, Ore. Bank of Willamette River. 21. Incorrect. This is the wooden dam on Oswego Lake. The covered bridge on McVey St. is in the background. 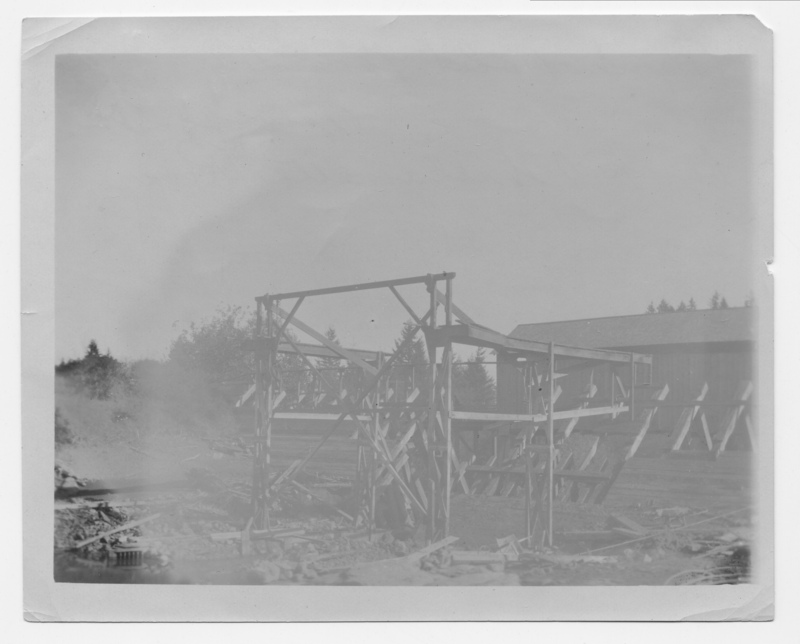 See historic photos in the Lake Oswego Corporation for other views of wooden dam construction. Susanna Kuo 8/2003. Description Corners creased and missing; faded. Transcription Part of old foundry, Oswego, Ore. Bank of Willamette River. 21. Incorrect. This is the wooden dam on Oswego Lake. The covered bridge on McVey St. is in the background. See historic photos in the Lake Oswego Corporation for other views of wooden dam construction. Susanna Kuo 8/2003.